Pay per click marketing is a search engine advertising tool that results in clicks to your website. It offers instant online visibility and is a beneficial way to drive traffic to your site! Let our creative, professional team make sure you get the absolute best use from your marketing dollars by encountering the right clientele at the right time. We properly send out your message in an attractive, engaging, user friendly format that targets your Naples Florida market. 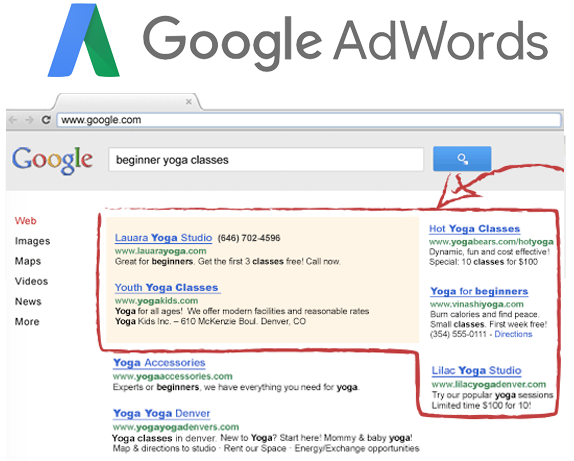 Google AdWords advertises your product/and or service in front of active customers who are actually searching for what you have to sell! By gaining your site’s info immediately they can buy from your page during their purchase process. This is called a “hot lead” and it is instrumental in bringing traffic to your website. Our company is up to date on all of Google’s rules and regulations and we guide you seamlessly through a successful advertising campaign that eliminates fraudulent clicks keeps your budget in mind. We incorporate Google shopping, as well as Gmail advertising to help you grow your business over platforms which are intended to work well with your type of website. This individual focus seen throughout our campaigns is driven by our aim to exceed our client’s expectations. We create a dynamic advertising campaign that is based on local targets, so it caters to a prospective audience located in the Naples, Florida geographic area. We incorporate Instagram advertising. 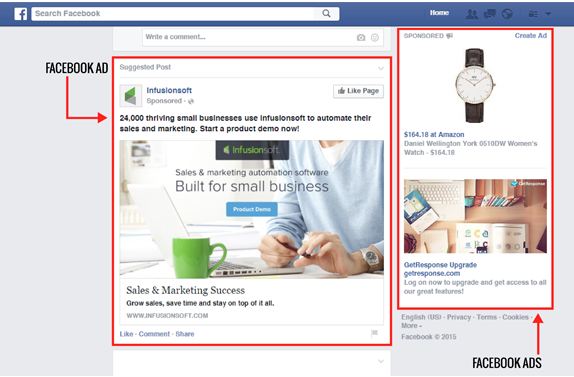 By implementing Facebook video ads plus Twitter ads in your customized Naples Facebook marketing plan. We pride ourselves on when you receive the best ROI (return on investment) because you are using our highly trained staff to get your business’ products and/or services in front of your intended share of the market quickly and effectively. We come up with appealing headlines, easy to read text and custom images that put us one step ahead of the competitors. Our ads are engaging enough to garner the attention of local customers which enable your business to grow. Our Instagram ads are an integral part of the package. They put appealing images in front of potential customers that inspire them to check out your business, as well as sharing them with other potential new customers. YouTube has created a video phenomenon where users from all across the planet can create, upload and share music, clips and videos. 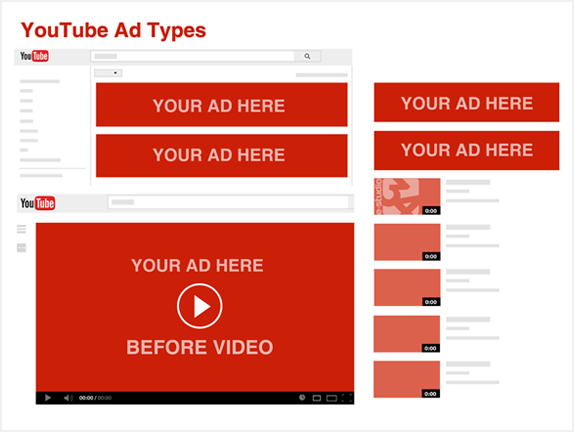 YouTube ads are an ideal platform to use for visual advertising. These video ads your target audience how your product performs in a short clip. The consumer will get to see more than a bland description of your business. We take advantage of YouTube’s targeting options which puts your intended customer base in front of you based on a variety of factors including age, location, gender, interests etc. It’s so important for putting your product/and or services in front of the intended consumers and it helps with the bottom line by ensuring local consumers are coming in contact with your ads. We also work with YouTube’s analytics and will show you how well your ads are doing and what, if anything, should be tweaked, as well as where your videos are being viewed. We will formulate a tailor made plan for how many videos will be played, how they should look and when they should start. 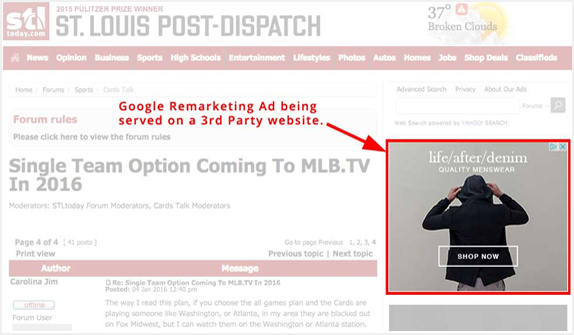 Remarketing ads bring back potentially lost customers. They direct your customers back to your Naples website over and over again. If someone clicked on your site but didn’t go through with a purchase, our targeted remarketing ads will direct this customer back to your site with a host of optimally placed ads that look organic in nature. This effective way of advertising enhances the consumer’s experience and promotes brand awareness for your business. Whether the customer is searching on any search engine or is just browsing the net, they will come across your remarketing ads, which are a part of the Google display network. Studies have shown that most consumers purchase a product or service on their second visit to that business’ website.